“Marie,” written by Lynn Ahrens and Stephen Flaherty (“Ragtime,” “Once on This Island”), began its life in a production at the Kennedy Center in Washington, D.C., in 2014 (then called “Little Dancer”). 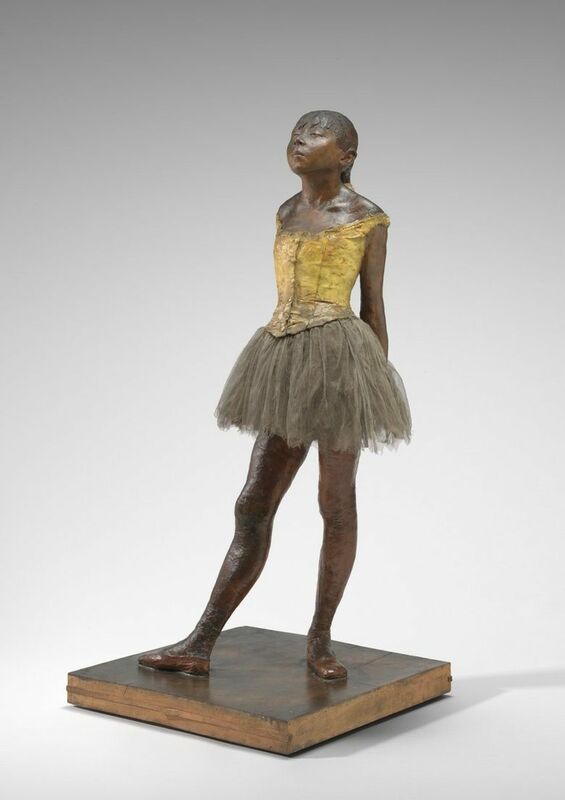 It is, said Stroman, “a cross-fertilization of classical ballet, musical theater and art” — its sets and costumes, by Beowulf Boritt and William Ivey Long, were directly inspired by Degas’ beloved paintings and sculptures of the world of young ballerinas, in their bouffant tutus and ribbon sashes. A five-time Tony Award winner, Stroman hopes to eventually take “Marie” to Broadway, where ballet-themed musicals have been a rare occurrence. (“The Red Shoes,” based on the classic 1948 movie about a ballerina torn between love and career, famously flopped on Broadway in 1993.) But there’s been more crossover lately, with ballet’s most in-demand choreographers (Christopher Wheeldon’s “An American in Paris,” Justin Peck’s “Carousel”) and star dancers (NYCB’s Robert Fairchild in “American in Paris”; NYCB’s Megan Fairchild and Tiler Peck, as well as American Ballet Theatre’s Misty Copeland, in “On the Town”) leaving rosin’d footprints on the Broadway stage. And British choreographer Matthew Bourne’s lavish, dramatic spectacles, most notably his famous all-male “Swan Lake,” brought new audiences to ballet. Can Seattle's 5th Avenue Theatre score another hit with Broadway-bound new musical 'Marie, Dancing Still'? Peck, who kept her strength up by quietly devouring an entire pizza during the dinner-break interview, said that fellow cast members have told her that the audition process was incredibly demanding. “It was known as the hardest audition, ever,” she said, noting that many Broadway dancers can handle ballet steps in flat slippers, but pointe work is an entirely different level. “Marie” has been a happy return for Peck, who originated the title role at the Kennedy Center. But her connection with Stroman goes much further back: to the director/choreographer’s “The Music Man,” which opened on Broadway in 2000. Peck, then just 11 and more interested in jazz dance than ballet, took over the role of Gracie Shinn, the mayor’s daughter, in the second year of the run. It was an association that changed the course of Peck’s life. The rest, as they say, is history: Peck joined the company in 2005 and made a meteoric rise within it, attaining the top rank of principal dancer in 2009. Stroman, who remembered being dazzled when seeing Peck on the cover of Dance Magazine just a few years after “The Music Man” (“I thought, wait, this is that little 11-year-old?”), described her leading lady as combining “incredible technique,” natural stage presence and “a kind of fearlessness” that the best Broadway performers have. Though the team behind “Marie” clearly hopes that it will attract audiences from many different backgrounds — visual-art lovers, in particular, may well be intrigued — this musical is likely to have a special appeal to those who love ballet, and who might not otherwise make it to New York to see Peck dance. In one scene, she sits down and casually puts on her pointe shoes, while talking to Degas (Terrence Mann). It’s a little moment that resonates: for a ballerina, just a bit of careful lacing and tying and everydayness; for an audience, a window into a graceful other world.